Built in 1959, the Rietveld Pavilion in Amersfoort is one of architect Gerrit Rietveld's most important later works, recognised as a leading example of functional, Objectivist building in the post-Second World War period. With its spare, almost Spartan features, the Rietveld Pavilion is spatially unlike any other building in the world. Rietveld designed it as an exhibition space to mark the 700th anniversary of the city of Amersfoort, where it was part of a large modernisation programme led by the city's Socialist mayor Hermen Molendijk. 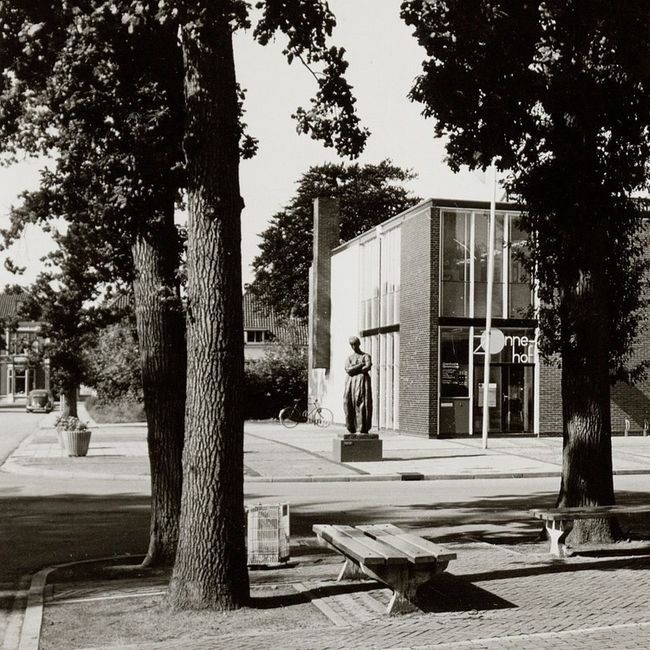 For more than fifty years, the Rietveld Pavilion was the city's main centre for modern art, hosting countless Dutch and international exhibitions. Ahead of the 2017 exhibition Beyond The Stijl. Gerrit Rietveld and the 1950s, the pavilion was renovated and the area around it relandscaped to create a park, shining a new light on the building and showcasing its spatial qualities to maximum effect.